We exhibited at EWE last year and we had an absolute blast; even as an exhibitor, the entertainment we saw, and food we ate was brilliant; the vibe is fun and punky and there’s so many suppliers that can really up the ante for your big day. The venue is awesome too so if you haven’t picked a wedding venue yet, this would be well worth a visit if you’re into industrial, edgy, waterside venues. There’s going to be a Christmassy market set up also, and we’ll be bringing along a selection of gifts to buy on the day too. All our waistcoats and jackets will be with us so grooms can slip them on and see how great they feel. Entrance is £8 in advance, £10 on the door. This is a new one for us, and the largest wedding fair we have exhibited at. We chose to be within the Eclectic Boutique, an area curated by Magpie Wedding, as we will be shoulder-to-shoulder with likeminded business who push the boundary on design-led weddings. We will be bringing our selection of sizes along so grooms can try out our tweed jacket and waistcoats and get some fantastic inspiration. 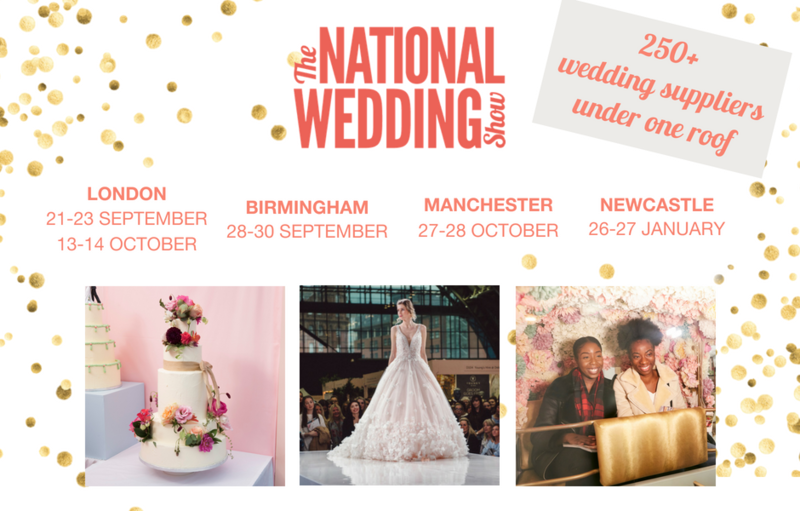 The tickets are £14 each from The National Wedding Show website, and you can use Code “TNWS” to book 2 tickets for £25, and even better than that, we will be running a competition soon to give away TEN PAIRS of tickets – how great is that? Keep an eye on our Facebook page and Instagram profile for more details. Where would you like to see us next? We’re planning to be at some locations more local to Bedford in the new year; where are you? As always, if you’d like to get in touch with us to chat about your wedding plans and whether our range of worsted wool suits are right for your big day, please email info@vintagesuithire.co.ukor call us on 01234 910620.